Please click on the image to view and download the full directory, or click on the link here. To see individual businesses, click on the links above. 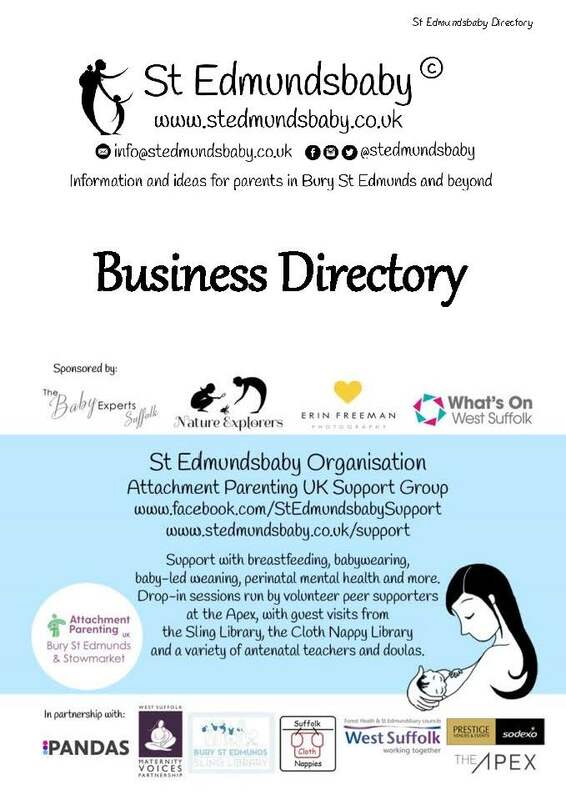 We are very fortunate in Bury St Edmunds to be able to boast a wonderful variety of services and businesses relating to pregnancy and parenting. Please note that St Edmundsbaby does not endorse any of these services and is not responsible for any matters arising from contacting them.